White can also avoid fighting, by playing as the staircase. 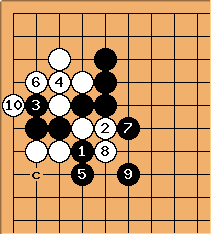 This is White's plan of preference when Black has a stone already in place on the left side. See discussion at 45103 enclosure, and comments below. 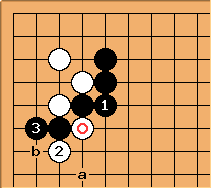 Naive kyu question: what if at when the ladder is bad for black? hhw: Did you mean something like this in the original question? 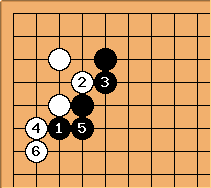 White doesn't look too good, maybe can play b instead of a with the ladder. 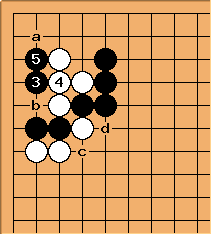 hhw: Continuing with b from last diagram, White captures some stones, but Black's wall is solid and can still play at c to seal off the bottom. This was suggested to me. Now a loses two stones (after c d, double ladder - now comes the ladder for B!) and b loses the corner.